DES MOINES, IA – The South Bay Lakers continued their winning ways as they grabbed the 113-92 victory over the Iowa Wolves on Monday night. The Lakers (8-1) were paced by Thomas Bryant (26 points, nine rebounds) and Stephaun Branch (career-high 21 points, seven rebounds) as they stayed undefeated on the road. The Wolves (2-6) were led by Melo Trimble’s 26 points, but could not overcome the balanced scoring of the Lakers. South Bay trailed after the first quarter, 25-27, for only the third time this season as their starting backcourt of Vander Blue and Alex Caruso combined for 11 points. However, it was Elijah Millsap’s production that put the Wolves on top as he had 12 points in the first quarter alone. The Lakers picked up the pace in the second quarter, outscoring the Wolves 38-26 to take a 63-53 halftime lead. The 38 points scored in the second were the most scored by South Bay in any quarter this season and their 81.3% shooting in the second was also a season high for any quarter. South Bay extended their lead in the third quarter, 92-73, behind nine points apiece from Blue and Bryant, and kept a healthy lead through the end of the game. The Lakers only had four turnovers in the second half, in which they also held the Wolves to 2-9 from behind the arc, as they extended their winning streak to five. The Wolves were led by Trimble’s 26 points, while Perry Jones III scored 24 points and grabbed nine rebounds for Iowa. Millsap (14 points, six rebounds) also scored in double figures for the Wolves, who struggled to find scoring without their leading scorer Anthony Brown. Five Lakers scored in double-figures in the win, behind Bryant’s 26 points on 6-9 shooting from deep. Branch’s career-night led the bench unit that also saw Andre Ingram score 12 points and Scott Machado put up eight points and seven assists. Blue (16 points, three rebounds, four assists) and Caruso (19 points, three rebounds, three assists) also hit double-digit scoring for South Bay. Michael Holyfield also had his best game of the season with four points, 10 rebounds and two blocks. 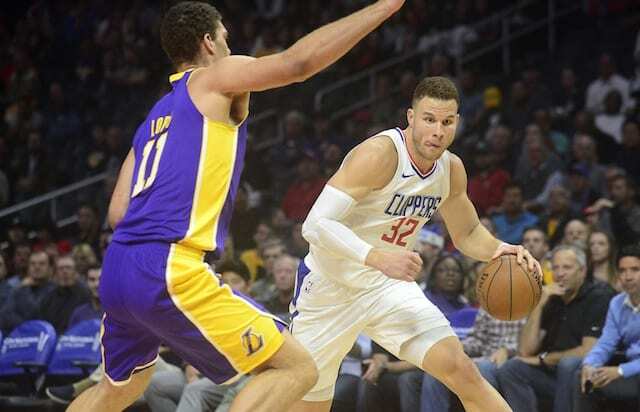 The South Bay Lakers will now head home to face the Agua Caliente Clippers of Ontario for the first time on Saturday, December 2 at 7:00 from the UCLA Health Training Center.